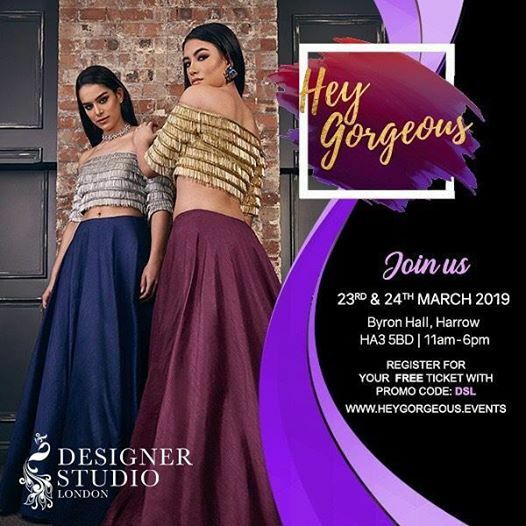 Discount code DSL Free tickets for Hey Gorgeous! Discover Asian Fashion brand with a difference! We are Designer Studio London – A world where you have total freedom to be you...feel confident, beautiful and empowered! 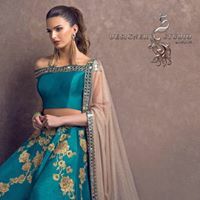 From Lehengas, Anarkalis, Gowns and Sarees - The collection is fashionable with timeless silhouettes, with emphasis behind fabric sourcing, excellence in garment quality and finishes, great fit and attention to detail is truly second to none. With indo-western influences and beautiful cuts, we strike the perfect balance between fashion, function and femininity to make you look and feel great. We will be showcasing our ready-to-wear collections most styles available from size 8-16! We are committed to providing all sizes at the same price too! If you don’t find the perfect outfit in our ready to wear then shop our customise-able Studio Collections and if you need something extra special or are a Bride-to-Be, Let Ami Rabheru, the Designer - create something for your big day! 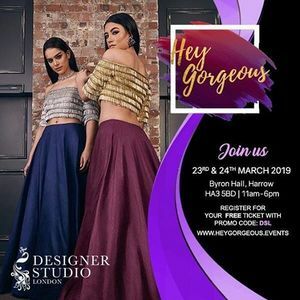 We look forward to helping you create your own style at Hey Gorgeous 5!! Don't forget to use code DSL for free tickets!